The Stedman “Sharks” won the Cumberland County Championship against the Stoney Point “Tar Heels” on the Nov. 22 at Arnette Park by the score of 2-0. The winning goals came from Taylor Jacobs and Brooke Bielecki. The Stedman Sharks went undefeated this season. The team members are: First row, left to right, Makenzie Flanary, Taylor Jacobs, Kory Hussey and John Robert MacNaught. Second row, Jordan Bowen, Lenzy Autry, Brooke Bielecki and Trevor Feight. Top Row, assistant coach Kevin MacNaught, Jayden Harmon, Danny Kruger, Cody Fisher, Casey Rohme and head coach Mike Hussey. Tristan Girard is not pictured. I admit that I don’t watch a lot of MLS. Frankly, it’s tough to sit through at times. But I watched Sunday’s MLS Cup between Columbus and New York on DVR and it wasn’t too bad. I really liked this goal from U.S. International Frankie Hejduk that sealed the Crew’s 3-1 win. My wife kicked my rear end in fantasy football this weekend, likely ending my playoff hopes. On the plus side, we spent the better part of Sunday in a pretty good sports bar (Sammy’s in Raleigh), so it could have been worse. 1. The Colts got a huge win in San Diego last night. Yeah, the Chargers are not exactly high wattage this year, but they lit up the Jets and Patriots in prime-time home games this year. That 23-20 win is huge for the Colts, who most folks had written off just a few weeks back. 3. Does anybody want to win the ACC? Other than Boston College, it doesn’t look like anyone wants to go to Tampa for the ACC title game. 4. I’m wondering if Dabo Swinney can hold on to the Clemson job if he beats South Carolina. Personally, I think they’re going after a big name no matter what. 5. The BCS is a sham. Oklahoma is going to play for the national championship, but Texas is 10 points better than the Sooners on a neutral field? The one thing I’m hoping for out of an Obama administration is a football playoff. This nonsense must end. This was really, really hard. I spent three hours on a Saturday afternoon going through coaches’ nominations, archived newspaper stories and enough stats to make a sports nerd go cross-eyed. The ’97 Fayetteville Force United soccer team won the MidState Soccer League Championship on Nov. 9. The Force defeated TFC Boca 3-0, the Chatham Dragons 11-0 and the Sanford Falcons 2-1 to advance to the championship game. 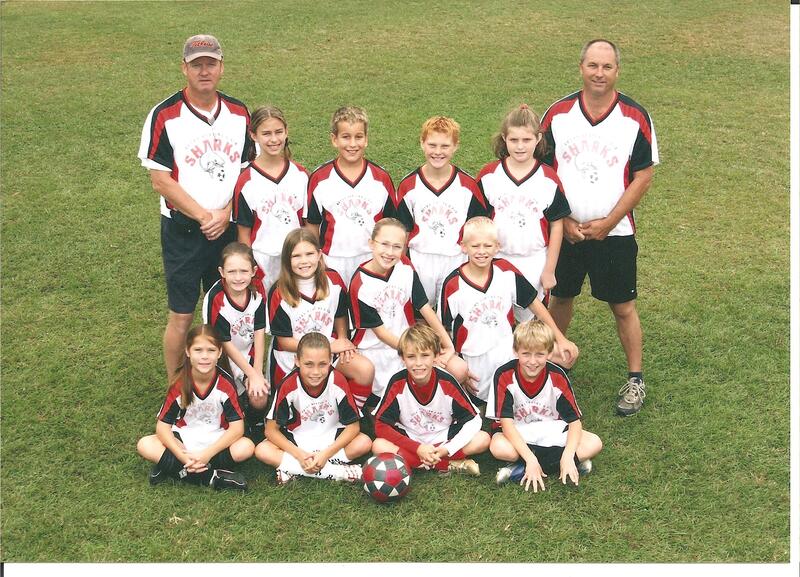 They then beat the Cleveland Ice, 7-1, to become the 2008 MidState Soccer League Champions. Members of the team are: (Front Row, left to right): Jeffrey Petroski, Leighton Hatch, Phillip Pow, Kyle Hebl and Greyson Garcia. Middle row: Alexander Musselwhite, James Smith and Ian Mask. Back row: Coach Karl Molnar, Guy Molnar, Jeremy Stone, Henderson Beam and Coach Jimmy Mask. My wife is the coolest lady in the world. She’s referring to the beatdown and subsequent trash-talking session I had to endure back in week two where she not only ripped my underwhelming fantasy football team, but ragged me about it in front of my friend Tina and my former friend, Bryan Hanks. But even though she was a little hard on me that day, I feel compelled to point out that my wife rocks. I listen to stories every day about how some of my friends don’t like what their wives make them do. A lot of people spend a lot of time complaining about marriage. Not me. My wife is the best. She’s smart, marrying me notwithstanding. She’s beautiful. She’s a good mother. And she likes sitting in sports bars watching football. You’ll have to wait until Thursday’s paper to see it in print, but it will magically appear on the blog at 12:01 a.m. on Thursday morning. So, if you’re a night owl, you can see it here first. Just a reminder – the Observer’s all-area team will be released on Thursday. OK, pardon the bad headline pun, but the Camels’ soccer team was left out of the NCAA College Cup tournament yesterday when it did not receive an at-large bid. Unfortunately, when you play in a small conference like the Atlantic Sun, winning that conference tournament is a virtual must. Jacksonville, the team that clipped Campbell in Saturday’s A-Sun tournament final, got the automatic bid. And considering that the Dolphins and their RPI rating in the low 120s is the next best team in the A-Sun after the Camels, it’s not tough to see why the boys from Buies Creek were left out. My complaint with the 48-team bracket is this: Why do we need 16 teams – a third of the field – from just three leagues? Is the ACC, Big East and Big Ten that superior to the rest of the NCAA? Sure, Campbell could have won the tournament final. And yes, wins over teams like UNC Greensboro and Loyola would have helped. But a perfect run through the A-Sun regular season, and a win over a seeded team in the College Cup (North Carolina) should have counted for something. So, the age old question is this: If I were to include Campbell, who would I bounce? Harvard (11-5) would be a good choice. Why does a team that played outside of New England twice all season, splitting two games with Duke and N.C. State, get in ahead of Campbell? Shouldn’t they stay home and study? I hate it for the guys. But in this system, you’ve got to take it out of the committee’s hands. The Campbell University men’s soccer team had a great regular season. For the first 135 minutes of game action, they had a great Atlantic Sun Conference Tournament. A bad 45 minutes in a 4-3 loss Saturday to Jacksonville in the title game means that the Camels’ postseason fate, if they indeed have one, will be revealed today on ESPNEWS at 5:30. That leaves 26 spots left for teams that didn’t win their conference tournaments. The most-recent RPI release was a week ago, so I don’t know how much these have changed over the last week. Here is the list, with the teams who got automatic bids removed.